General knowledge quiz show hosted by Nick Knowles. 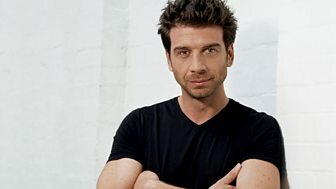 Nick Knowles presents the true-or-false quiz show with u00a31,000 up for grabs in each episode if contestants answer all questions correctly and achieve absolute perfection. The true or false quiz show returns for a fifth series, with u00a31,000 up for grabs in each episode. If contestants achieve absolute perfection, they will win the cash. True or false quiz show, hosted by Nick Knowles. If contestants answer all questions correctly and achieve absolute perfection, they will win a cash prize of u00a31,000. The true or false quiz show returns for a fourth series, with u00a31,000 up for grabs in each episode. If contestants achieve absolute perfection, they will win the cash. Nick Knowles hosts the general knowledge quiz show. If contestants achieve absolute perfection, they win the cash prize. If they fail, the money rolls over to the next game.